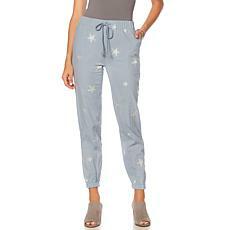 If you are looking for the perfect balance of take-charge assertiveness and flattering femininity, you can find it in a pair of Sheryl Crow pants. Designed by a Grammy award-winning musician and a mother of two, these trousers are built for your active lifestyle. They are far from utilitarian, however. With one-of-a-kind decorative details, these aesthetically pleasing garments are a cut above your typical options when it comes to choosing a pair of pants. Subtle embellishments and neutral colors like olive and khaki enable you to effortlessly mix and match outfits. Find a perfect top for your next night out. The twill stretch fabric will serve you faithfully. Its versatility will carry you through summer travels, fall bonfires, cozy winter days, and spring festivals. Perfect for brunches, running errands, and taking kids to the park, these pants will not leave you at a loss as to what to wear. These pants are true-to-size in both regular and plus sizes and provide a well-fitting alternative to jeans. 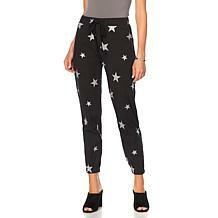 Easy to maintain and easy to wear, these are pants you will look forward to putting on time and time again. For an inspired design, good fit, comfort, and value, check out the Sheryl Crow pants collection.